This dark chambray shirt from Joe Fresh is one of my favourites. It's an old favourite that I've had for a couple of years, and I love wearing it any number of ways - it's super easy to dress up or down. Today I decided to pair it with this skirt (currently on super sale), and my favourite little black leather ankle boots, also from Joe. Clearly fresh style has overtaken my wardrobe. Gotta love Joe Fresh, just picked up a few tops today on such a good sale! 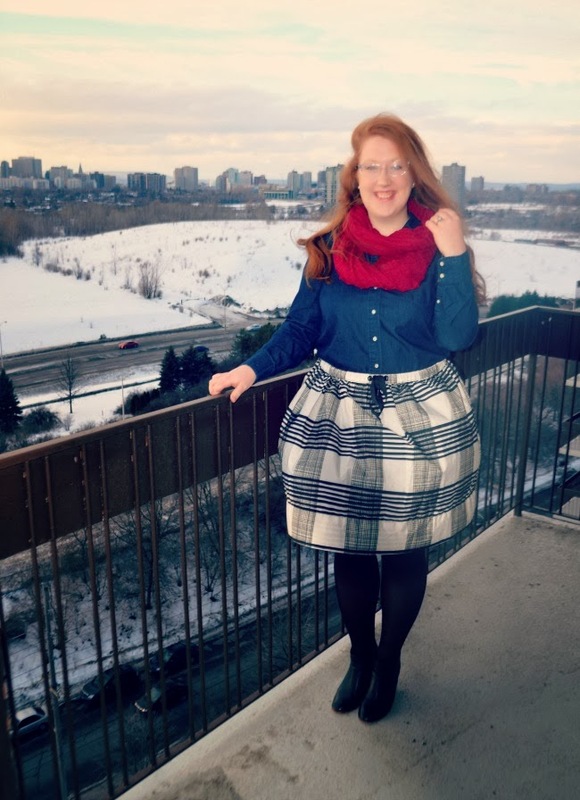 This patterned skirt you are wearing is fantastic and looks awesome with that top! Thanks! 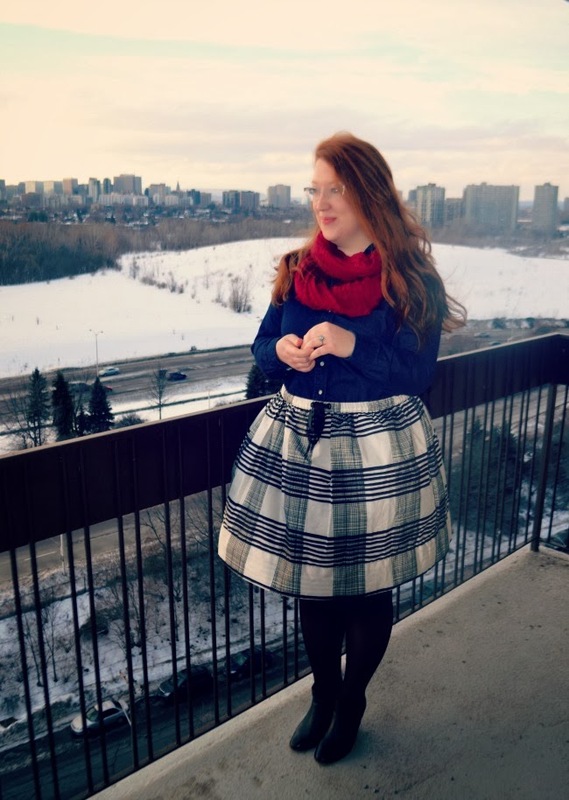 I admit I love Joe Fresh, but I agree, their basics/staples tend to be my favourite pieces.